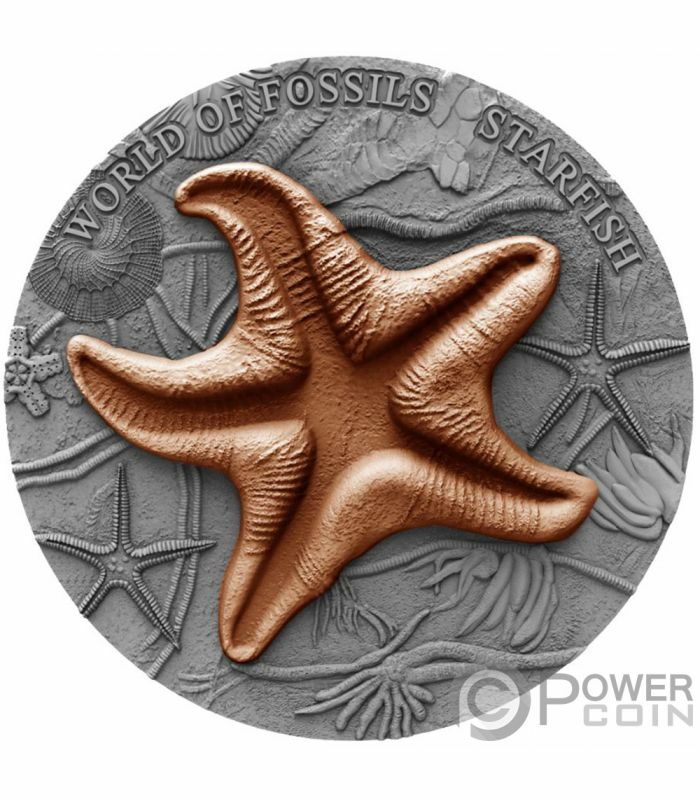 This beautiful 2 Oz Silver coin is the first release in the amazing “World of Fossils”, dedicated to some of the world’s most beautiful fossils. In this edition – the Starfish. 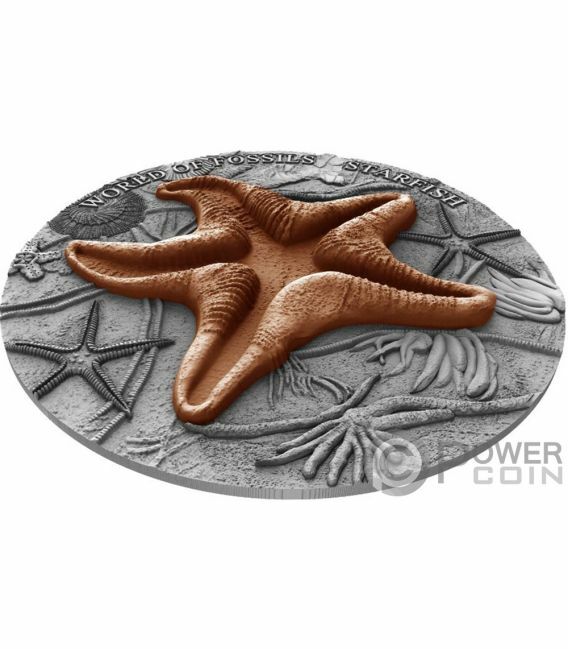 The coin has a beautiful Copper plating, has an Antique Finish quality and comes in a wooden case, along with the Certificate of Authenticity. Limited mintage to only 500 pieces worldwide! Starfish or sea stars are star-shaped echinoderms belonging to the class Asteroidea. Common usage frequently finds these names being also applied to ophiuroids, which are correctly referred to as brittle stars or “basket stars”. About 1,500 species of starfish occur on the seabed in all the world's oceans, from the tropics to frigid polar waters. They are found from the intertidal zone down to abyssal depths, 6,000 m (20,000 ft) below the surface. 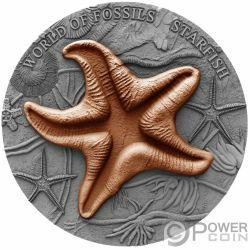 The reverse of the coin depicts the stunning top view of a plated Starfish fossil over a beautiful detailed background of scattered fossils. On top of the reverse, the inscriptions: “WORLD OF FOSSILS” – the name of the series and “STARFISH” – the name of the coin. 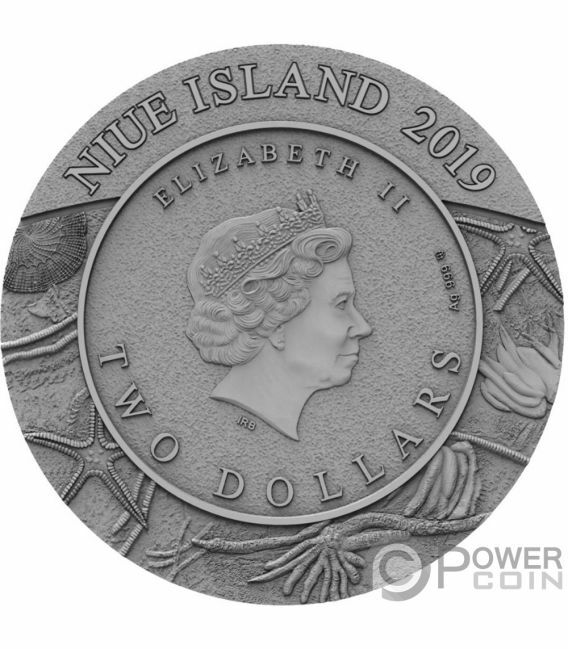 The obverse of the coin depicts the effigy of Her Majesty Queen Elizabeth II and the inscriptions: “NIUE ISLAND” – the issue country, “2019” – the year of issue, “ELIZABETH II” – the name of the Queen, “Ag 999” – the fineness of the Silver and “TWO DOLLARS” – the face value.